On April 15, mine and my husband’s world changed forever. Quite unexpectedly our son decided to arrive about 3.5 weeks early and we welcomed Connor to the world, a healthy, adorable and amazing son. I am still processing what it means to be a mom and each day is different as we learn the ropes of parenting. A number of people told me that I would have an easy labor because I am a runner. This might be true though I credit the epidural for making the labor ‘easy.’ I labored for about 12 hours, pushed for just under one of those hours and then Connor was in my arms. During our two nights in the hospital, when the night nurse was taking my blood pressure, heart rate and temperature I was asked by one, “Do you run marathons?” and by another, simply “Runner?” Evidently my heart rate was so low (47 and then somewhere in the low 60s) they quickly made those running assumptions and I felt incredibly proud at those moments to be a runner. 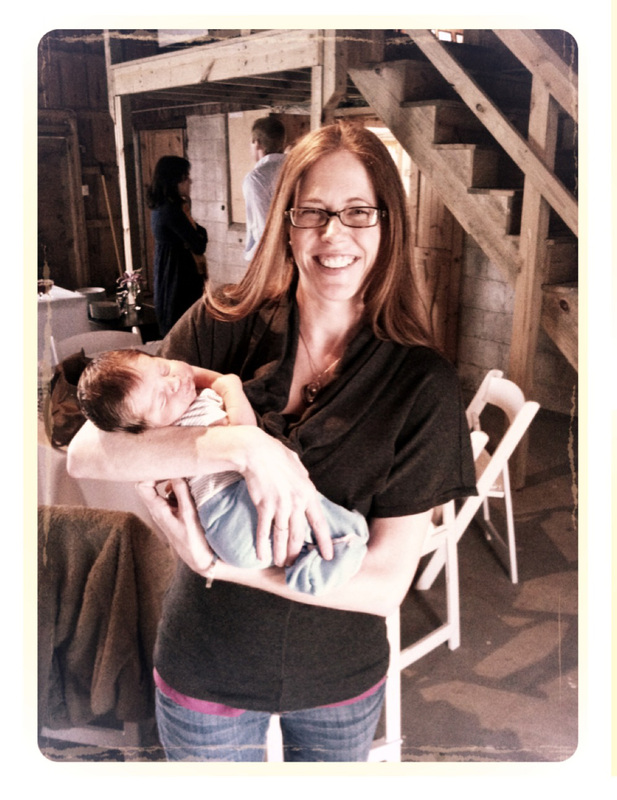 Perhaps because I am a runner, I have also been fortunate to have what seems to be a quick recovery from giving birth. In the first week of having Connor home I was anxious to get on my running shoes and take him out in the stroller. It was a gorgeous day and I went out for a power walk with my new baby. On three occasions I thought I’d see what running felt like and so I used the downhill portions of our route to jog a little pushing the stroller in front of me. You’d think after the first downhill when I felt the pain and discomfort, similar to the feeling of having split the balance beam in gymnastics, that I would have let it go. But no, I was too curious to know if I could power through the pain and actually run. I could not. After the third attempt I acknowledged it was indeed too early–5 days after birth–to be doing anything more than walking. When I decided to post this news as a Facebook update I promptly received many ‘shame on you!’ type comments for having even attempted power walking. I also got a stern talking to from two best friends, one a pediatric hospitalist and the other a pilates instructor. I was advised to rest (light walking ok) for a minimum of four weeks, do kegel exercises and pelvic tilts. I still have numerous blog posts to work on from before and during pregnancy but as a new mother with running on the mind, I now have a whole new set of posts to write. And thanks to maternity leave, they might actually get completed in a timely fashion! This entry was posted in Healthy Living, Running and tagged balance, Motherhood, Running on April 27, 2012 by Natalie. Congrats!! You’ve entered an amazing new world!